Bret Hart was interviewed for the debut edition of PWInsider.com‘s YouTube show, during which he shed some more light on WWE: Bret “Hit Man” Hart: The Dungeon Collection to be released on DVD in March (pre-order). On the content of the DVD and sourcing matches: Bret applauds WWE for their solid effort to go back and source a variety of rare matches for use on the DVD, that fans may not have seen for a while or perhaps never seen before. He makes reference to Tiger Mask matches in Japan, and other early footage from England. Despite best efforts, he notes that a lot of the matches they attempted to acquire they ultimately did not get permission to include. A few Stampede Wrestling era matches are in. On collaborating with WWE for the DVD: The same WWE personnel who worked with Bret on his first DVD in 2005 also worked on this new project. He has the opportunity to watch a rough cut of the finished product in the next week or so. Both Bret and WWE seem happy with what they found for the set and he naturally has a lot of faith in the Home Video department to bring it all together as a package. On owning his matches from Stampede Wrestling: Hart confirmed that before his parents died they signed over every one of his Stampede matches, and any other footage of him, which includes interview segments too. He notes that it is always his decision to include them in DVDs, and while WWE can’t use any of the footage of him without his permission, he tries to give back some of the matches when working with them. Bret hopes that one day WWE make him a monetary offer to acquire his Stampede material so his whole archive exists as one. The Dungeon Collection will be produced on both DVD and Blu-ray formats. Pre-order a copy for March 5th, 2013 at Amazon.com by clicking here. 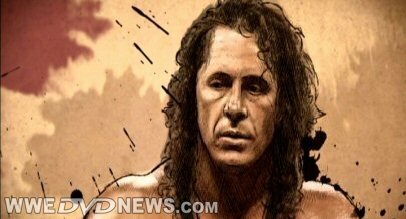 Check out the full video interview with WWE Hall of Famer Bret Hart below. Discussion includes his upcoming reunion with Shawn Michaels in April, the Hart Mansion receiving heritage status in Canada, plans for his second autobiography, and more. This will be the best DVD of 2013. The best wrestler of all time! I’m really looking forward to the Bret Hart set coming in March. Always one of my favorites, especially during the end of 1997 right before he went to WCW. The Hart Foundation was good TV back then on RAW and I can only imagine what would have happened had Bret stayed with WWE instead of leaving. I hope WWE does more “Unreleased Collections” in the future. WWE releases a few great things a year along with some duds, but this will by far be one of those greats along with Nitro volume 2. I LOVED the Hogan unreleased set and this to me is similiar to that. I have full plans to watch this set beginning to end and as the title slightly suggests, I hope this matches are extremely rare. To be honest with you I don’t even want to see any Japanese or English matches. I only want to see WWE or WCW. If we do get too many of those matches, I hope we get at least one more volume to compensate. Hart had too long of a career for one volume. I do agree that I have no interest in seeing anything outside of North American territories on any WWE release including this one. In this case, one release is more than enough when you consider they’re having to search and pay for stuff from other video libraries in an effort to fill out two measly Blu-Rays. I’d honestly rather have another Hogan one (at least there’ll be some variety of opponents) before they put out another Hart one and that’s not saying much considering how much I loathe Hogan. I’m all for more Unreleased Collection sets and I wish they’ve approach every DVD release with the idea of only putting unreleased to DVD matches on them. That’s not the reason. The reason is that Hart requested those matches. I have a list of over 100 matches that I’d like to see, and all are WWE or WCW. Not too sure why people wouldn’t want to see his Japan work, but would want to see more WCW work. That doesn’t make much sense to me. I’m guessing some WCW matches would be included, but his Japan work is truly magnificent as opposed to WCW where every single match ended with an NWO run in. WCW made Bret look like a midcarder where Japan showed his technicality and stamina as a wrestler. Just as Vince has said in the past, thankfully for him, Bret was barely used in WCW, not sure why people would want that on DVD. Are you hoping for more Golberg/Bret garbage? Barely anyone could compete with Bret’s skill, but some of the guys who could were Mr. Perfect, Rick Rude, Sting and Owen… Not Goldberg, not Nash and not Hogan. He had some good lesser known matches in 1998. The Goldberg stuff is terrible I will give you that. It all comesd down to the match listing and my decision to pick it up or not. It’s frustrating there hasn’t been a match listing yet. I want to get this, but only if it has one certain match, never before released on DVD by WWE. While we are at it when is the Best of Nitro match listing coming? Are we just waiting for the holidays to end or is this due to the Freemantle changeover? Does anyone in the U.S. work on this site? Happy to say I may have a couple more matches to reveal for the Nitro DVD this time next week (if the whole listing hasn’t been revealed by then). Well don’t leave us hanging, man! What match?? which one certain match are u talking about? Are you aware of a link to pre-order on Amazon.ca? I can’t seem to find one.